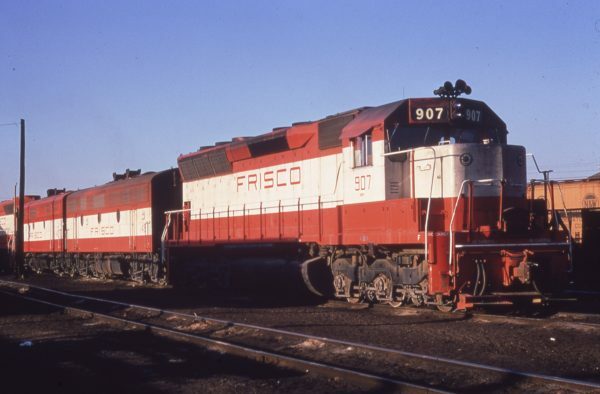 SD45s 907 and 915 (location unknown) in September 1972. 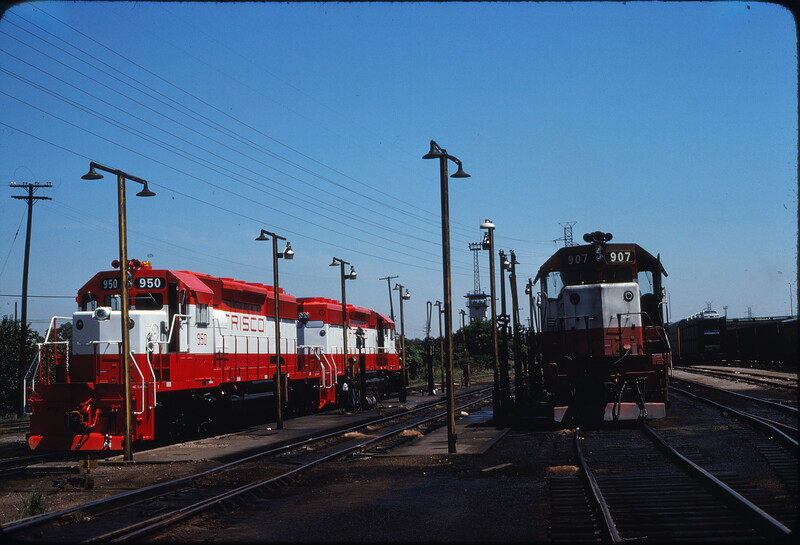 SD40-2 950 and SD45 907 at St. Louis, Missouri in August 1978. 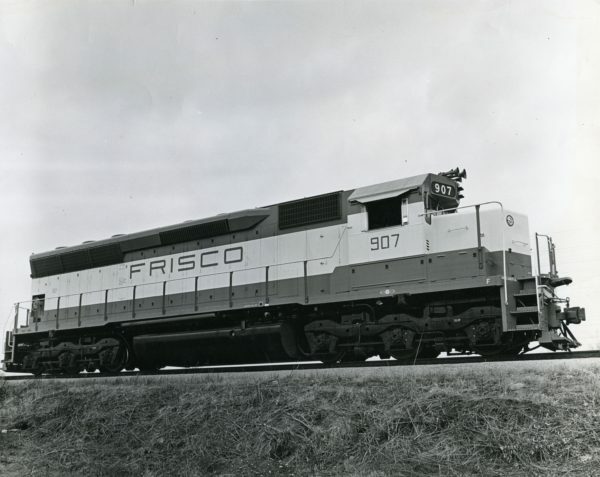 The location is the Lindenwood Yard diesel shop service track fuel pad. 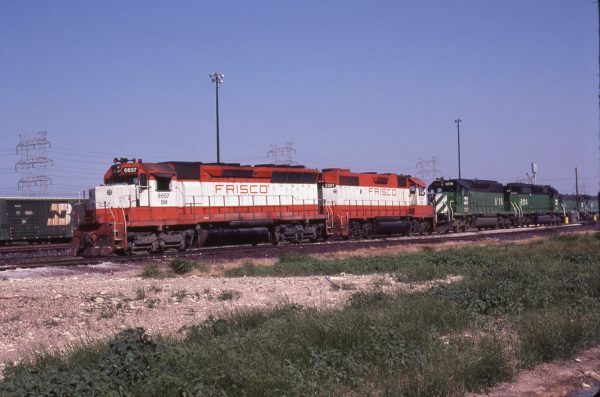 The view is looking northeast toward downtown St. Louis. 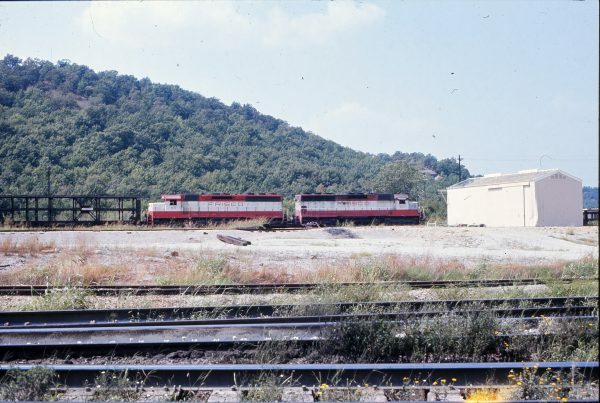 In the distance, by the yard tower, one can see the Arsenal Street overpass over the yard. To the left beyond the trees, on the north side of the yard, is the River Des Peres. This is near its junction with Deer Creek. SD45 6657 (Frisco 907) and GP38-2 2281 (Frisco 426) at Fort Worth, Texas on May 12, 1981 (Richard Yaremko). 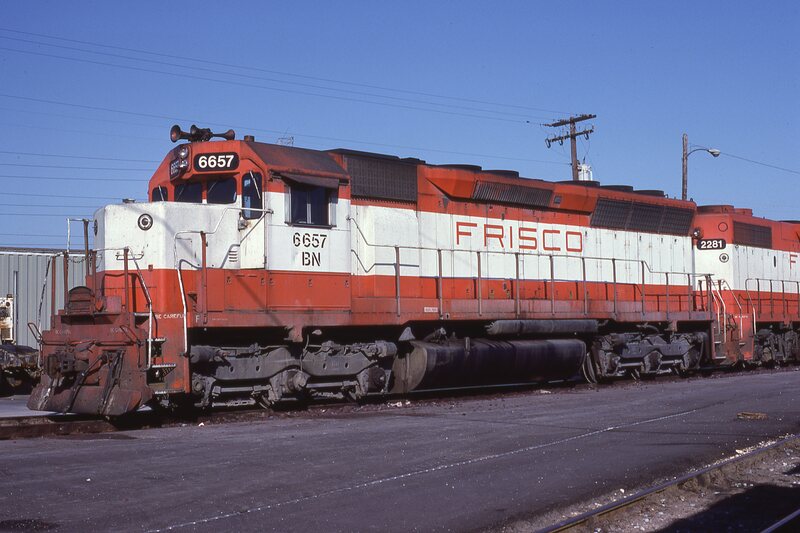 SD45 6657 (Frisco 907) at Cicero, Illinois on March 27, 1981 (J.C. Herold). SD45 907 at LaGrange, Illinois on February 24, 1967 (EMD Photo). 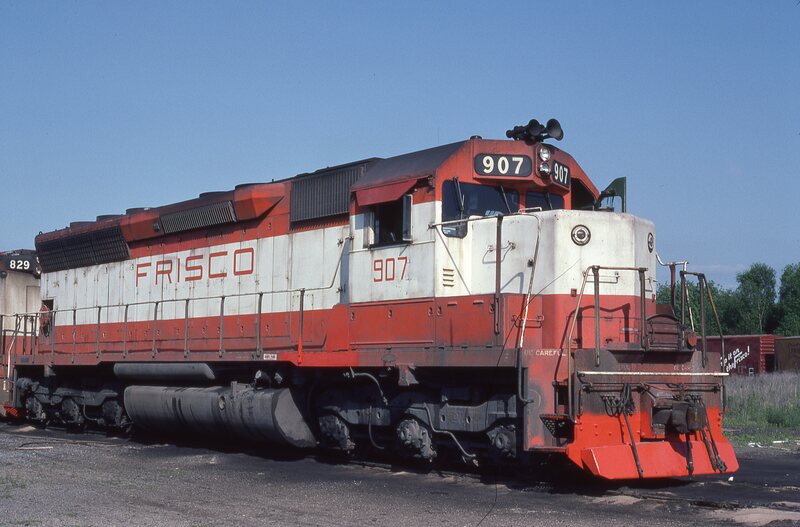 SD45 907 at Guin, Alabama on May 8, 1976 (Ray Sturges). 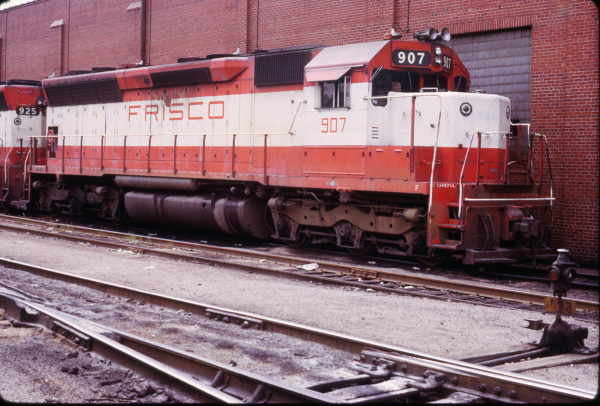 SD45 907 at St. Louis, Missouri on September 16, 1973 (Michael Tedesco). 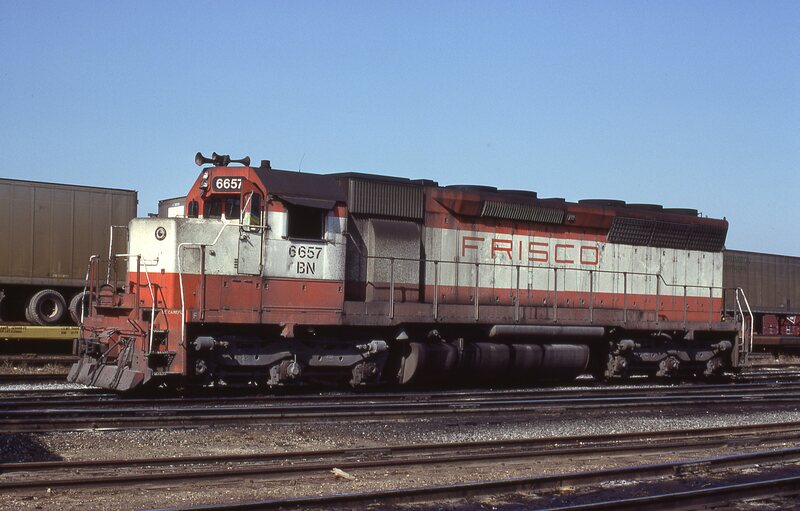 SD45 6657 (Frisco 907) (location unknown) in 1982. 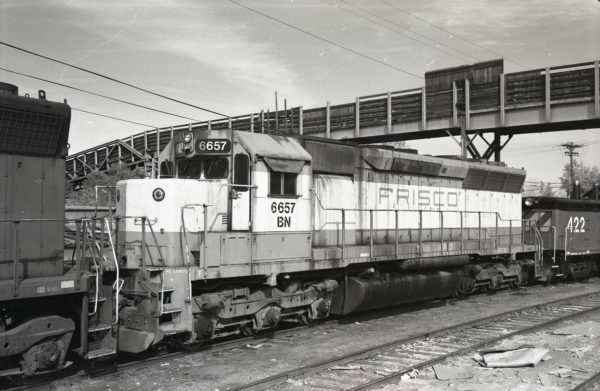 SD45 907 (location unknown) in July 1970 (Ken Ardinger). SD45 6657 (Frisco 907) at Fort Worth, Texas in May 10, 1981.